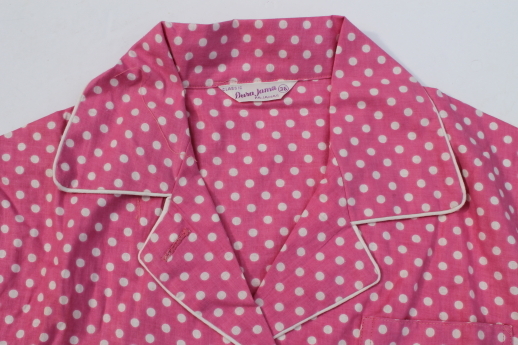 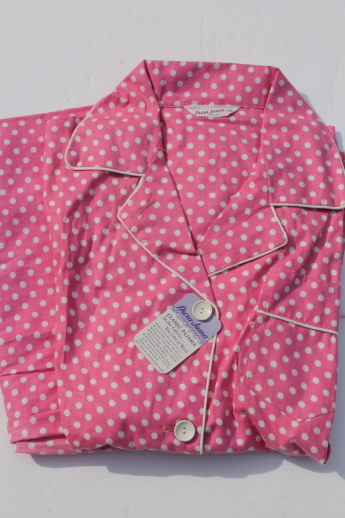 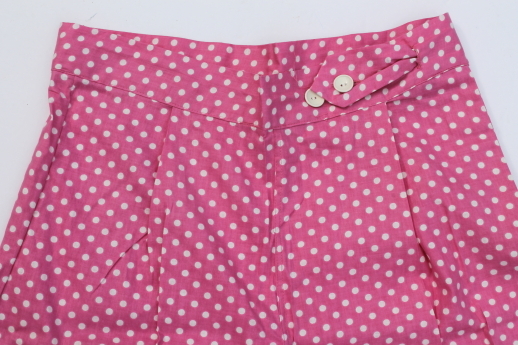 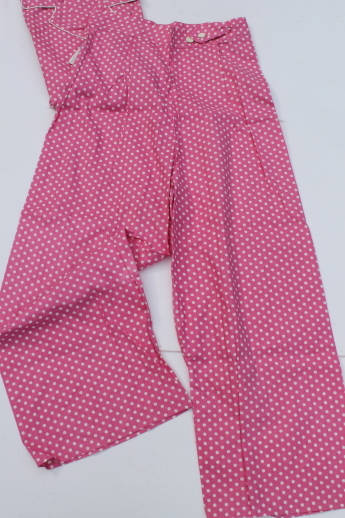 Ladies size 36" cotton pajama pants and top, cute polka dots print in pink and white! 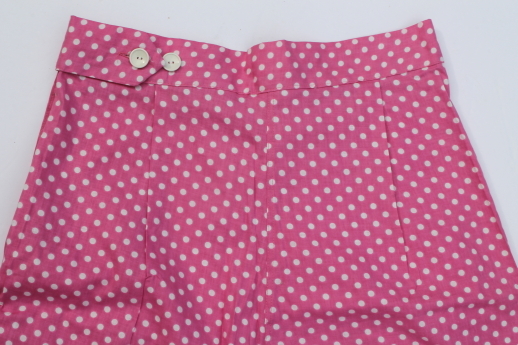 These are in excellent condition, never worn, still have the paper tag on the top. 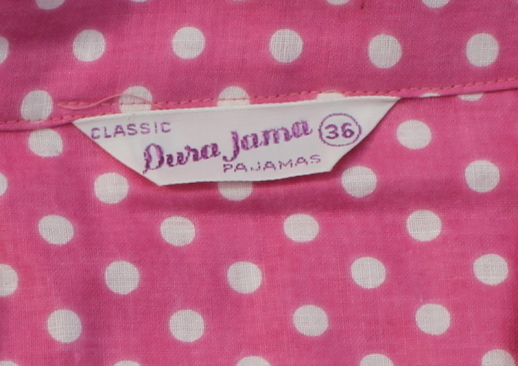 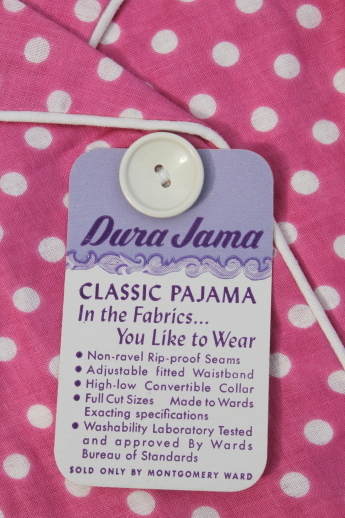 Actual garment measurements are 36" at the bust, 15" across the back of the shoulders, 30" at the waist of the pajama pants.